Viewsonic is not a new name in the Indian market when it comes to monitors or projectors. We recently got our hands on the Viewsonic TD 1630-3 Touch LED monitor to review it and found out some neat things. What are they? Read the rest of our review. Going by what Viewsonic has been producing in the past this is something quite different, since this LED panel has a touchscreen. But, before we talk about its performance lets quickly go over its aesthetics. Out of the box it looks like a simple and plain monitor, till you realise there is no base stand on it. 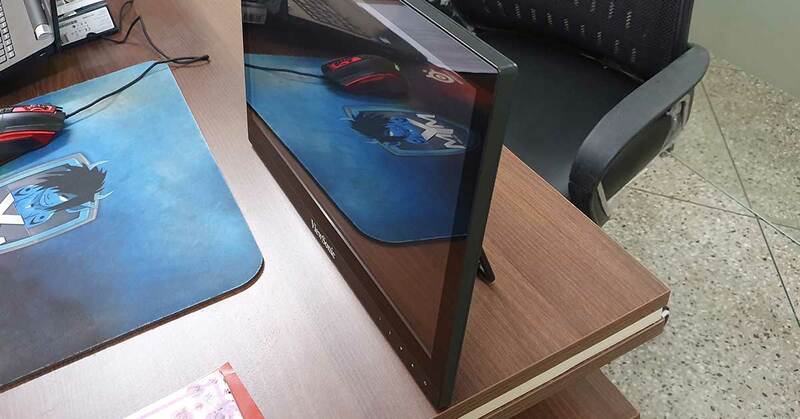 Instead, this 15.6-inch monitor has a swivel out metal stand at the back which can move to almost 90 degrees and back to lie flat, and can be used as a tablet. 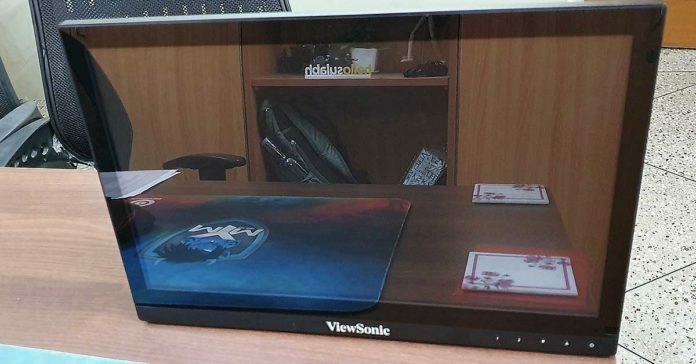 The front part of the Viewsonic TD 1630-3 Touch LED monitor is basically built of the touchscreen with the power and other buttons along with Viewsonic branding at the bottom. The monitor is light and can be easily placed on any desk big or small. At the back there are downward facing ports, which include power, USB, VGA and HDMI as well as audio in. Talking about audio, there are two 1W upward firing speakers in this monitor. Dressed in grey and black plastic, there is nothing unusual about the monitor, till you come to the workings of it. Now here is where all the fun begins. The Viewsonic TD 1630-3 Touch LED monitor is excellent when it comes to touch performance. We used it with HDMI and setting it up via USB was not hard at all. The USB basically enables the touch part of it and response time for the tap to performance is not bad. 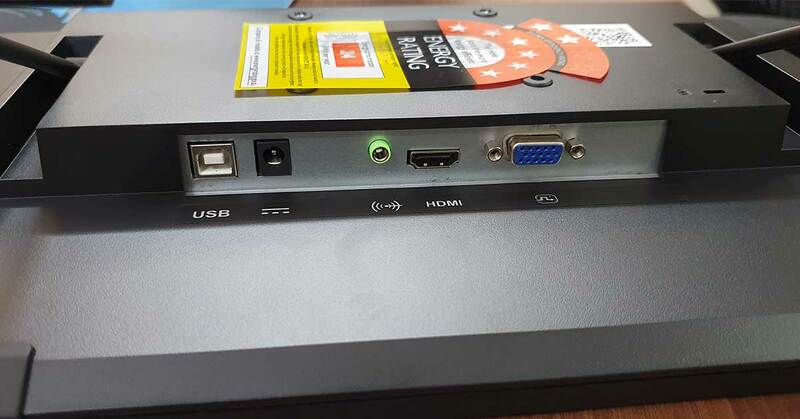 We ran the usual tests when we found that this monitor does not support FHD graphics and just HD (720p) is supported. But that does not mean it is not great to work with. Yes, the games were not running at its optimum, but that is not what the monitor is made for. It is made for professional work use. Which it does just fine. The screen has 7H hardness which keeps it scratch proof, but the constant touches and taps does make it a fingerprint magnet and we for one do like our monitors smudge free. The viewing angles on the monitor are not great as they support on only up to 90 degrees. Neither is the sound since 1W does not do justice to the multimedia experience. But what is good are its colours, they are bright and crisp. Blacks are not bad either. Though we have seen better from some other less expensive Viewsonic monitors. The Viewsonic TD 1630-3 Touch LED monitor is compatible with Windows 7 and later along with Linux OS. So, the touch experience on a desktop is good for basic daily professional tasks. But, one would not want to use it all the time in an office setup. It at times did feel like a gimmick, but some professionals would want a touch experience from their monitor. Like? When it comes to POS systems or shops where one wants to demo things, it will be a good option to have there. However, with a price tag of Rs 20,000 for a touch monitor that does not support full HD graphics is a bit steep.